In the market for a second (or third or fourth) DualShock controller for your PlayStation 4? The old mates at JB HiFi might have just the deal for you! 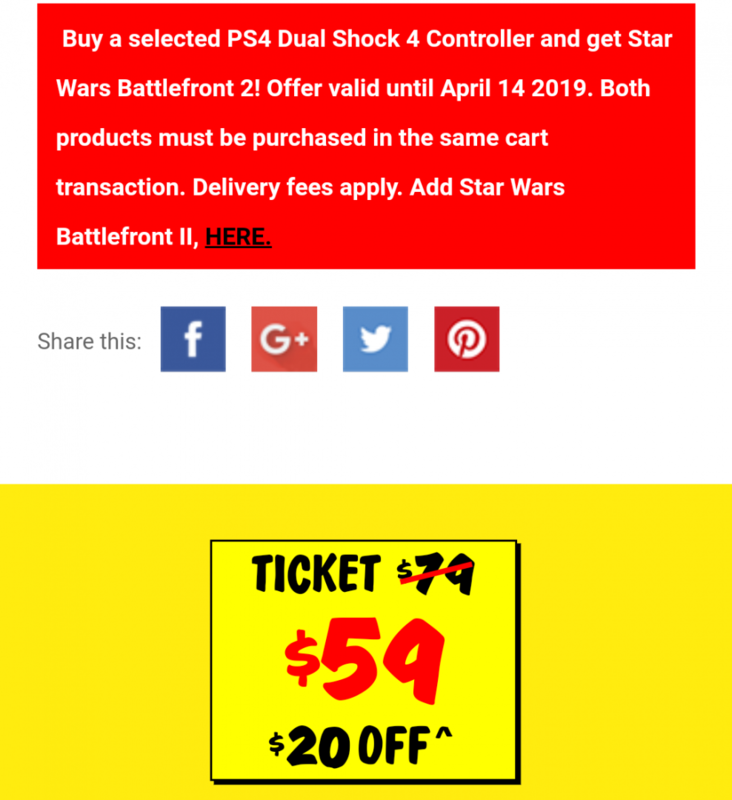 Right now and running until the 14th of April (or, presumably, while stocks last), you can nab any of the four ‘basic’ colour variants of the DS4 for a cool $59 and score yourself a bonus copy of Star Wars Battlefront 2. Pretty good deal, no? Even if you already own Battlefront 2 or have avoided it because of all the negativity, a free game can’t hurt, and the controller price on its own is pretty compelling.